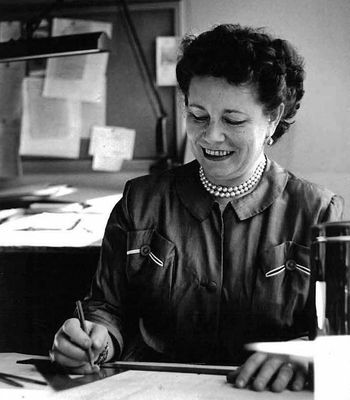 Belle Kogan (1902-2000), was a Russian born industrial designer who was one of the very first industrial designers in the United States. She was commissioned by Zippo to develop designs which were produced in 1938. She is also known for having made designs for ceramics, silver, bakelite, clocks and other media. The Belle Kogan Zippos were produced in four chromium plated, black enamel filled designs, Model Nos. K-1, K-2, K-5, and K-7. The Zippos below are are prototypes which have the Belle Kogan designs without the production models' enamel treatment. While all original 1938 Belle Kogan Zippos as shown below are rare, a limited edition replica of the K-1 model was produced in 2011.